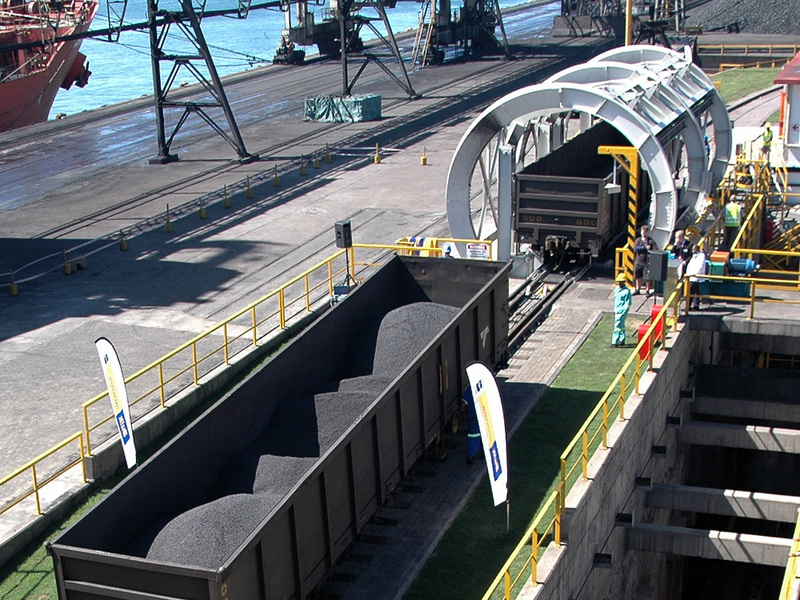 Bulk Connections has the largest private siding network in the Port of Durban. This siding (called "Wests" with a siding number 651958) is connected to the main line and all incoming trains are brought directly from the mines into the exchange yard. We shunt all rail wagons on site with our own locomotives. This has proved to be the most efficient manner of ensuring that the correct cargo is moved exactly when required. We are capable of handling block trains of up to 65 wagons at a time, and do so with the use of a straddle back actor or either of the two tipplers. Just like the planning and scheduling meeting that is held for vessels, we too have a railage meeting, where a rail programme is planned for the upcoming week. This is entered into the Transnet Freight Rail’s “Next week’s Business”. Both these planning sessions allow us to carefully monitor the vessels, stockpiles, rail cargo and road cargo, which in turn minimises delays and deadfrieght on vessels. Our road intake facility is made up of an ingoing and outgoing weighbridge, as well as a well implemented process to avoid contamination of product. Trucks generally take no longer than twenty minutes to complete a full cycle within the terminal.